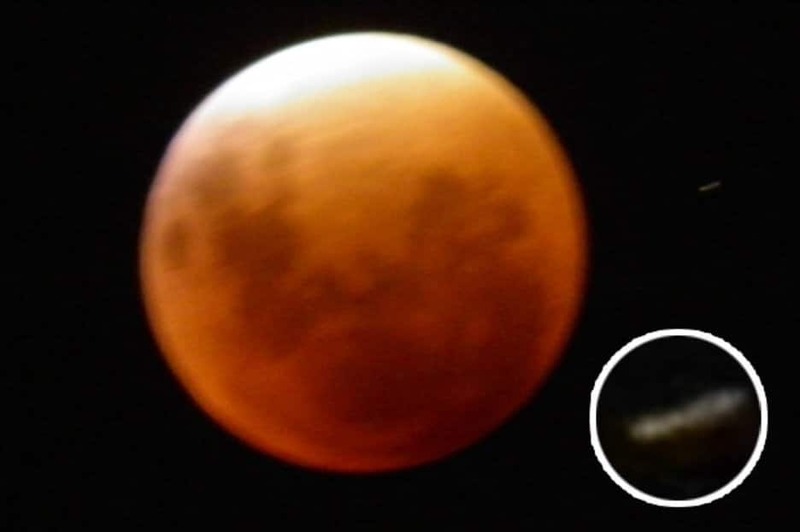 The truth seeker – who shared the footage on the Mutual UFO Network – said they spotted the strange objects after looking at the photos taken of the lunar eclipse. It has sparked interest in the UFO community who believe it could proof of an alien civilisation in the moon. Describing the sighting, the extraterrestrial enthusiast, who uploaded the photos said: “I was in my residence watching the lunar eclipse. “I decided to take some pictures for my son who is interested in the subject and was asleep at the time. The objects were not visible to the naked eye. Fellow UFO enthusiast Scott C. Waring added: “So many UFOs have been seen around the moon – but we don’t see a lot of structures on the surface. “There must be a large cavity within. According to the Hollow Moon – also known as the “Spaceship Moon” – theory the moon was hollowed out by aliens. The “strange objects” were discovered over Brazil last year – but the alleged UFO sighting was kept quiet until now. Some have claimed the moon’s centre was turned into a spaceship while others believed it could house an alien civilisation.